Marilyn spent time with a team working with a people that that is almost completely Muslim. Marilyn returned to Honduras in time for the yearly Garifuna conference to which people come from all over Honduras, Guatemala, Belize and from various of the Garifuna churches in the US. This year they dedicated a whole afternoon to celebrating the Garifuna Bible (the Reecks were instrumental in its translation). A Garifuna women’s group sang a song about the Bible and lifted it up high. The regional meeting scheduled for Lancaster, Ohio, on Tuesday, May 23, has been canceled. Only a few people registered. The meeting on May 22 in Chambersburg, Pa., is still a go. 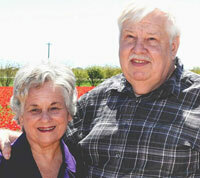 Erika and Milton Pacheco after arriving in Thailand. As of April 29, the Thailand team is complete. After more than 50 hours of travel from Honduras to Thailand, Erika and Milton Pacheco arrived in Chiang Rai to begin their first term of missionary service. There they were greeted by the rest of the team–Julie, Lai, Paula, and the Glunt family. 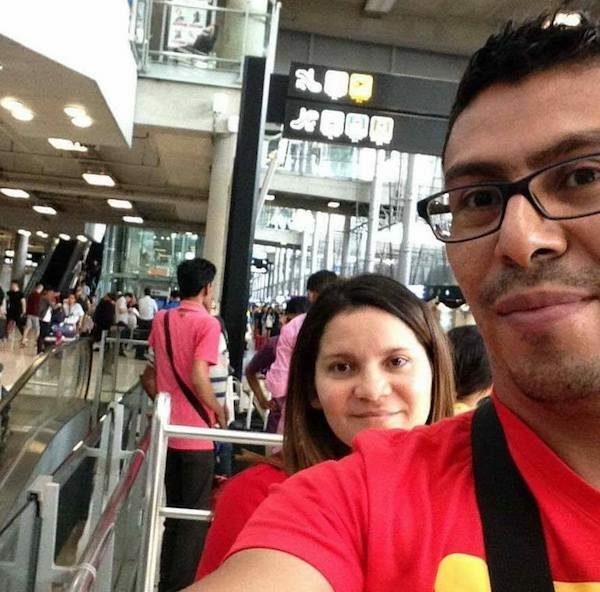 Despite the lengthy trip, Milton and Erika don’t look too bad in this selfie which they took after successfully passing through immigration in Bangkok. The congregation at Litao Village in 2001. 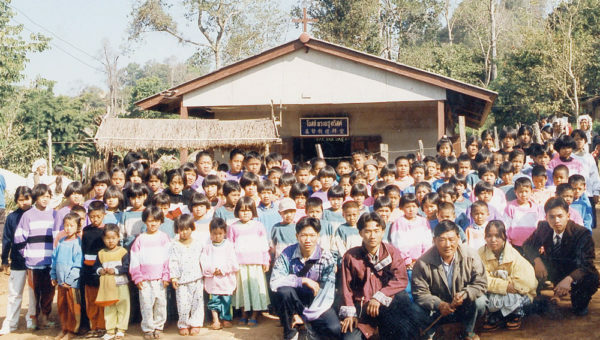 On January 16, 1996, Bishop Ray Seilhamer dedicated the new United Brethren church in Litao Village, high in the mountains of northern Thailand. For three years, Hong Kong Conference had been supporting the ministry of Rev. H. M. Lee among the Akha, a tribal group with roots in China. The former military officer started the church and a school in Litao Village. It was a Tuesday afternoon service on January 16. 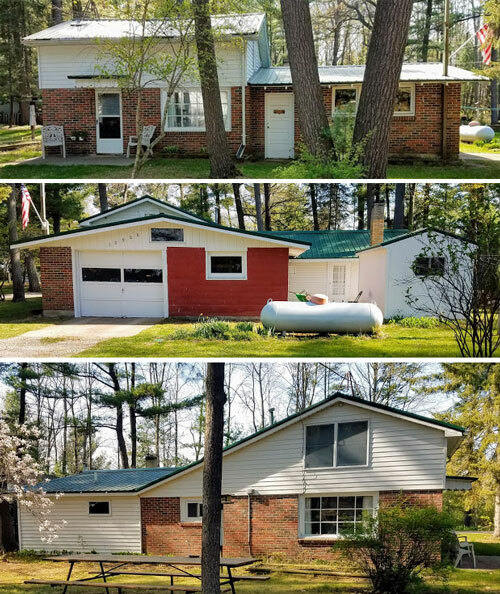 About 80 people gathered, many of them children, at the nice building which had been completed in November–a cement building with a wood superstructure holding up the tin roof. The dedication ceremony began outside. Bishop Seilhamer unlocked a padlock on the front door, and some words were spoken and translated. Then everyone moved inside and sat on the floor for the rest of the service. Before going in, people slipped off their footwear, mostly sandals and flip-flops, and left them around the entrance. Bishop Seilhamer’s words went through a series of translations–from English to Cantonese to Mandarin to Akha. So that took considerable time, and you couldn’t be sure how much the bishop’s words matched what the people actually heard. The church property covered several acres. For years, new Christians were expelled from their homes or no longer felt welcome by their neighbors. So, they built thatched homes on the church property. The land was expected to eventually become a separate enclave, a community of Christians on the edge of town. However, the persecution and alienation eventually stopped, as people saw the good things the church and Teacher Lee brought to the village. 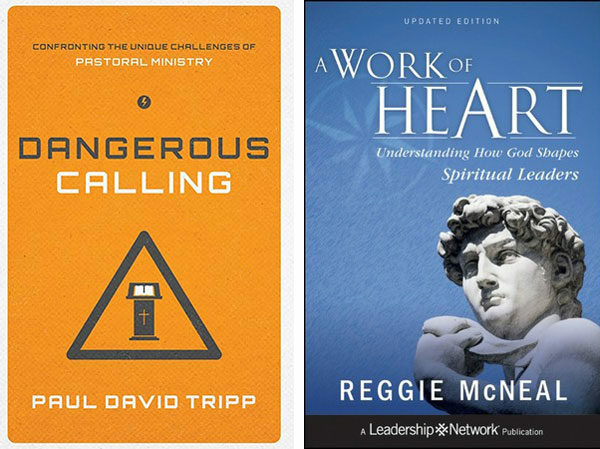 For January 2017, United Brethren Church Resources is offering a special on two books which are being recommended to cluster leaders. Both can be purchased, as hardbacks, for $20 each. Dangerous Calling, by Paul Davis Tripp. It includes a free DVD. A Work of the Heart, by Reggie McNeal. To order, contact Jane Seely at the National Office.